Some lives get lovingly intertwined. That's Debbie Underwood on the left and me on the right. at Bear Valley Community Church. 2. We're both wearing the same-type sweater we each bought at Kohl's. 3. We found out we were both wearing very special scarves. She bought hers on a street in Rome (!). And my hairdresser gave me mine from her trip to Israel awhile back (!). 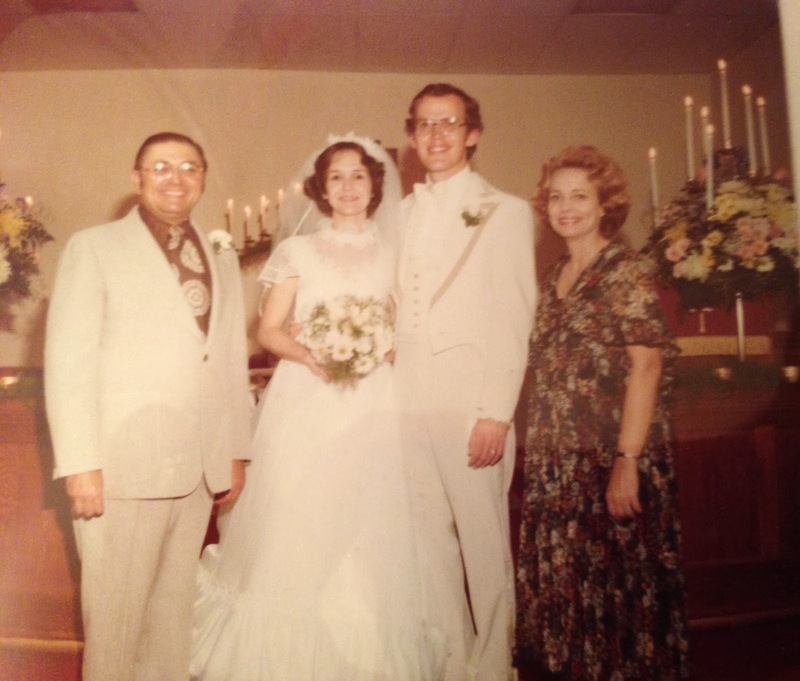 who married Sam and me June 17, 1978. Meme was in my class at Baylor... and was Homecoming Queen her sophomore (or freshman?) year! And now she is a professor at the University of Texas in Austin... and before that she was a senior lecturer and assistant professor at Harvard! 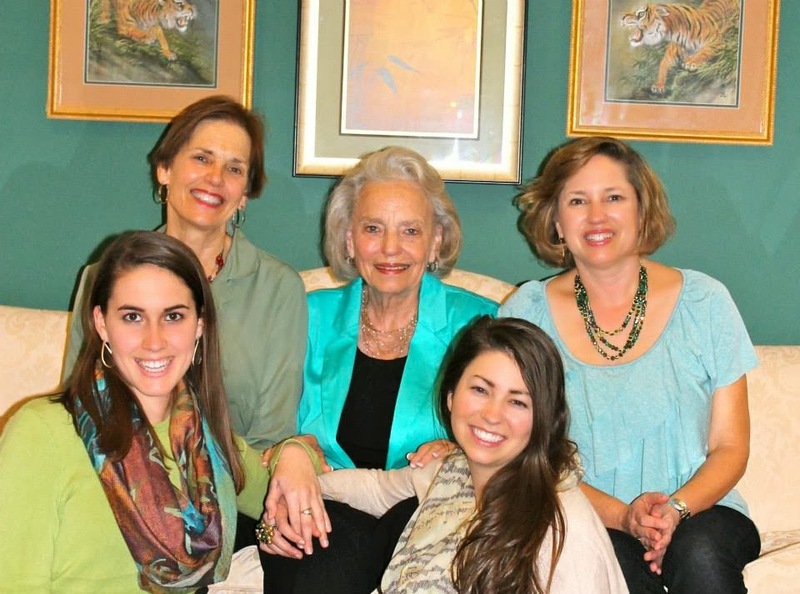 After Debbie and Meme's dad's untimely death in 1981 their mother, Minette, became very active with the Southern Baptist International Mission Board as assistant to the executive vice president and as director of the Office of International Prayer Strategy, where she launched the board’s PrayerLine. 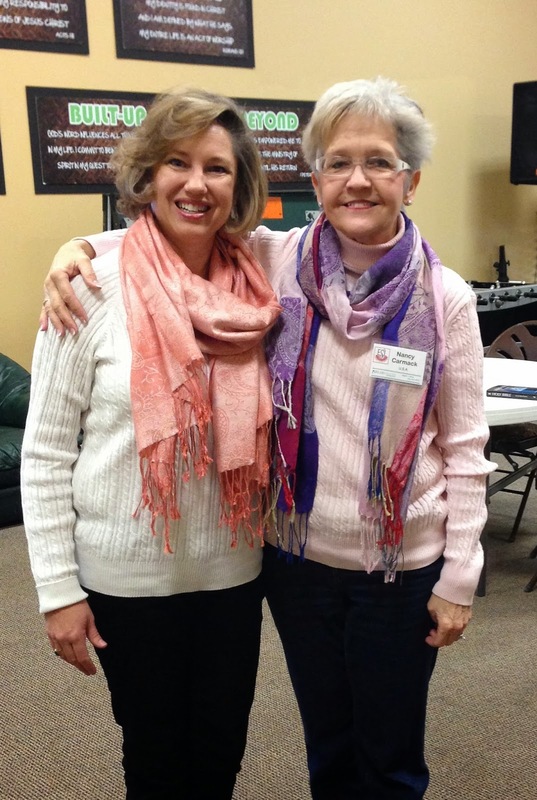 And she authored two books:WHEN MY FAITH FEELS SHALLOW: PURSUING THE DEPTHS OF GOD and THE LIFE THAT PRAYS: REFLECTIONS ON PRAYER AS STRATEGY. Well, there's more to tell about these people, but I don't read long blog posts, so I don't write long blog posts. But, yes, I know these people! And our lives have become intertwined through the years! *I stole that picture from Facebook. I hope everyone is okay with that. 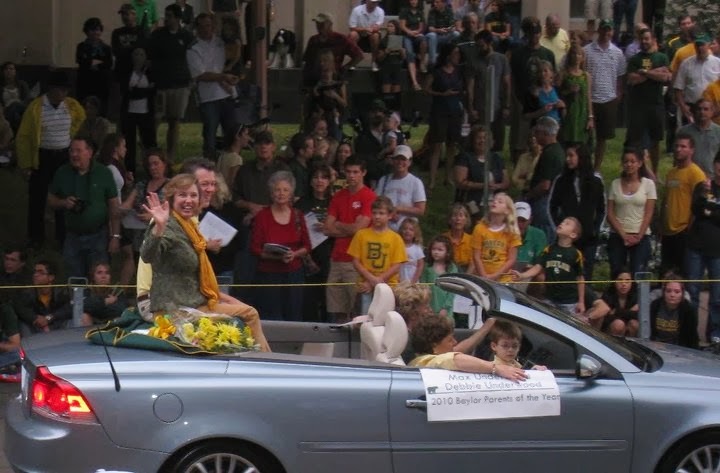 as they were Baylor Parents of the Year in 2010!!! Yes, I know these special people!